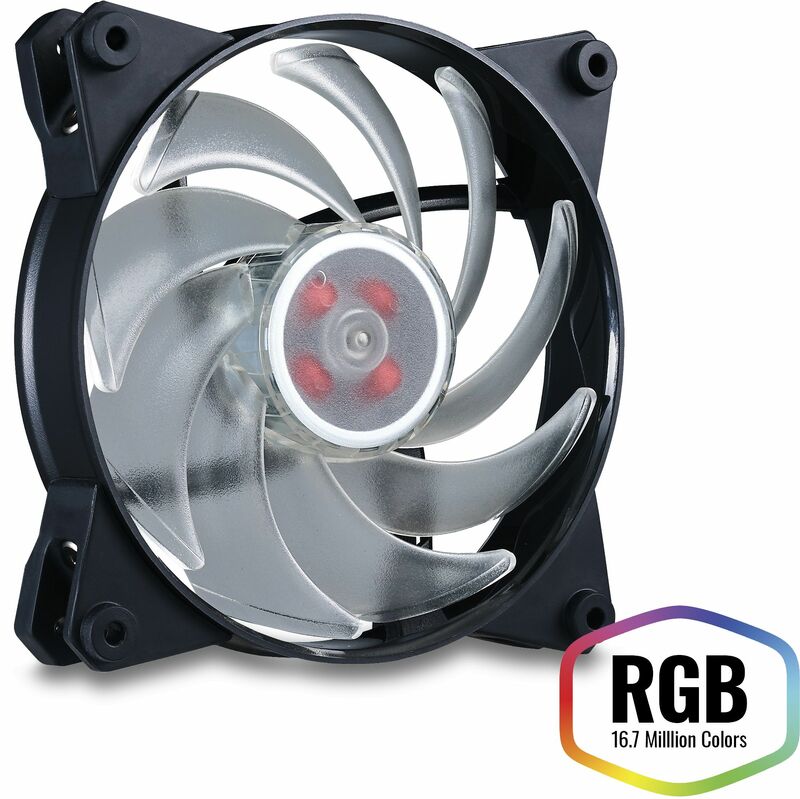 The MasterFan Pro 120 Air Balance RGB provides a specific air cooling solution ideally for CPU coolers and chassis in-take fans. Designed for Builders with RGB-enabled PCs, you can feel the flow with full color fun, and perfect match your PC's theme. The MasterFan Pro series is fitted with multiple layers of Cooler Master's exclusive noise reduction technologies and a perfect blend of fan blade design that put together work in harmony to cool your entire case and its components in virtual silence. *A full list of compatible motherboards can be found at the bottom of this page.